MILAN -- A ruling by a U.S. judge risks delaying Fiat's plan to buy up all of Chrysler unless it can reach an out-of-court settlement with a health-care trust that is a minority shareholder in the U.S. group. The Italian carmaker said Wednesday it "looked forward" to solving a dispute with an autoworkers' health-care trust in court after winning a partial victory Tuesday in its path to buy the 41.5 percent of Chrysler it doesn't already own. Delaware Chancery Court Judge Donald Parsons on Tuesday accepted the carmaker's legal positions in two pivotal disputes in its legal battle with VEBA, the United Autoworkers-affiliated health-care trust that owns 41.5 percent of Chrysler. However, the judge stopped short of ordering VEBA to sell 54,154 Chrysler shares to Fiat for $139.7 million, as the latter had sought, saying certain questions still needed to be answered through testimony at a trial. "Fiat looks forward to resolving the few remaining issues in the litigation, through the discovery requested by the judge, and remains confident that those residual issues will also be resolved in its favor," Fiat said in a statement Wednesday. A trial is likely to take between a year and 18 months, said a person familiar with the matter. However, another person said the lengthy process makes it more likely that Fiat and VEBA will reach an out of court settlement on the dispute. "We view the ruling as positive for Fiat and likely to help an out-of-court agreement," said UBS analyst Philippo Houchois in a research note. "We still view end 2013 as a likely deadline for an agreement as VEBA." Fiat's lawyers will now be forced to argue in court with representatives of the health-care trust about why Fiat should pay less than the trust is asking in a deal the latter needs to pay future benefits for retired Chrysler workers. 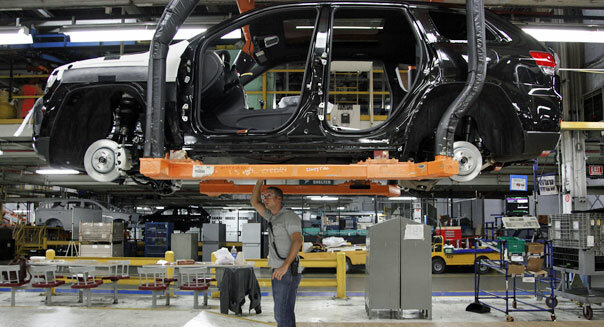 The UAW became Chrysler's second-largest shareholder when Chrysler emerged from bankruptcy in 2009 and the union swapped future health-care payments owed to it for a stake in the company. VEBA is a trust that manages those health-care benefits on behalf of the union. Fiat already runs the two automakers as a single company, but wants to buy the rest of Chrysler to squeeze out more synergies, cut borrowing costs and access some of Chrysler's cash flow. Fiat shares were volatile in early trade, falling 0.8 percent to €5.98 ($7.92) at 0850 GMT (4:50 a.m. Eastern time). "The ruling is a step forward and is good news," said a Milan trader. "But it's not decisive and the market is not discounting it as a done deal yet."